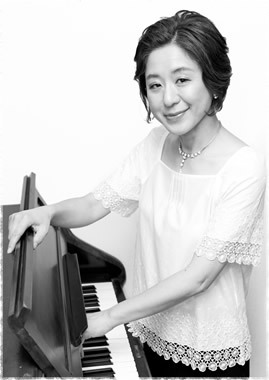 Yuki Ogawa studied organ music and musicology at Tokyo National University of Fine Arts and Music and received her M.A. and Ph. D. as well as the Ataka Prize. Note that she is the first person who received a Ph.D. in organ music in Japan. She also studied at Conservatoire national supérieur de musique de Lyon in France, and received her M.A. with Prix "Très bien." She won Prize of Mayor at International Organ Competition of Musashino City. She is currently an organist both at Tamagawa Sei Gakuin Girls Junior & Senior High School and Shitaya Church (UCCJ). She has performed extensively as a soloist at halls such as L'Auditorium Maurice-Ravel, NHK-FM, Tokyo Opera City, Tokyo Metropolitan Art Space, etc. and at chapels such as Le Musée des Augustins, International Christian University, etc. She has performed as an ensemble player as well. As a scholar, she gave lectures about organ music and culture at Asahi Culture School, and other citizen' s courses in many places.